Update (July 16, 2015): Replaced a couple of screenshots and added more details based on the 'finalized' build (10240). 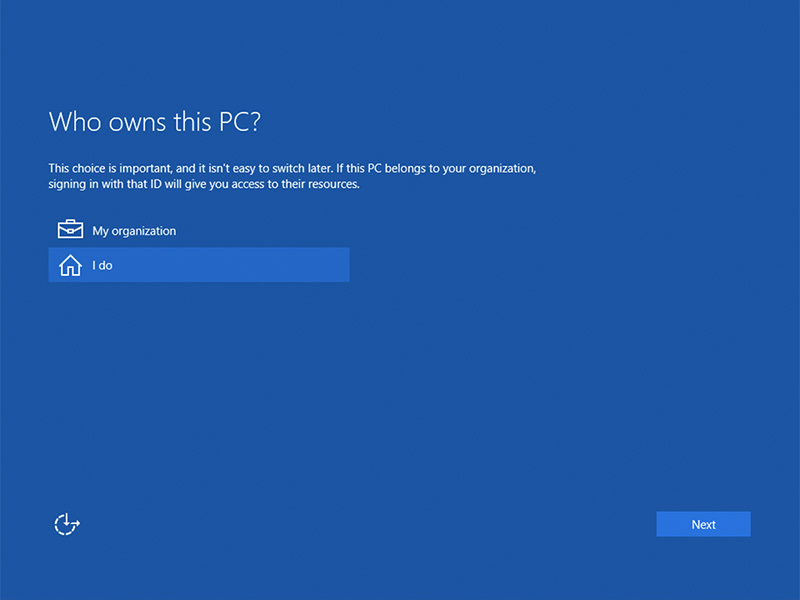 With Windows 10 for PCs and tablets due end of this month, and the fact that Microsoft is pushing out preview builds left, right, and center recently, we thought it’s time to revisit the installation process to see how it differs from previous versions of Windows and the early WIndows 10 builds. 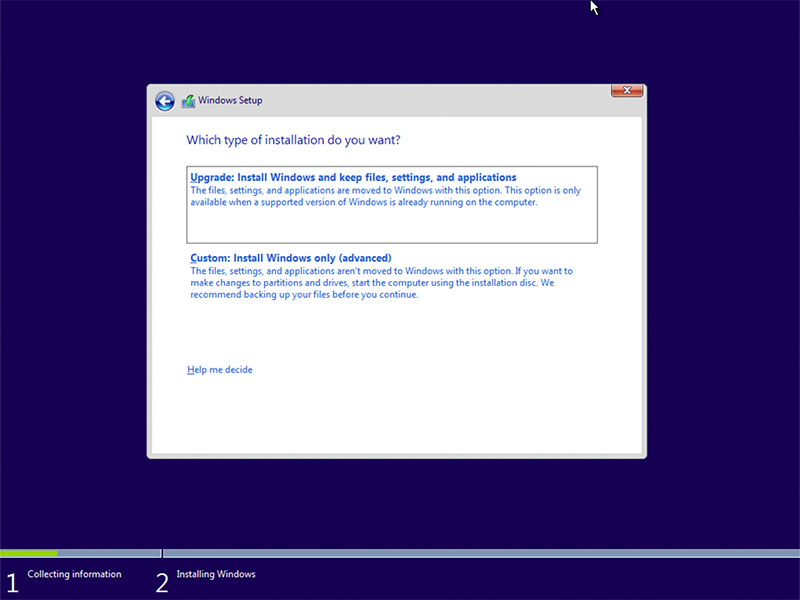 Of course, this is more for the curious and those who’ve hung on to previous versions of Windows (ahem, XP); Windows 8.x users and seasoned system builders should have no problems understanding the installation steps. Before the avalanche of images, here’s a quick recap. 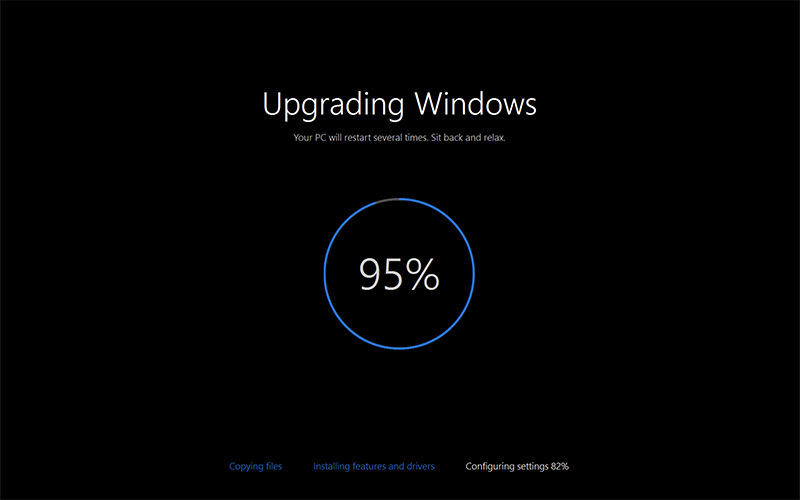 Windows 10 can be upgraded over Windows 7 and 8.1. For qualified systems, this upgrade is free. We already know that clean installs can be done after the upgrade; and rumor has it that Microsoft would also be offering the OS on a DVD and USB flash drive. 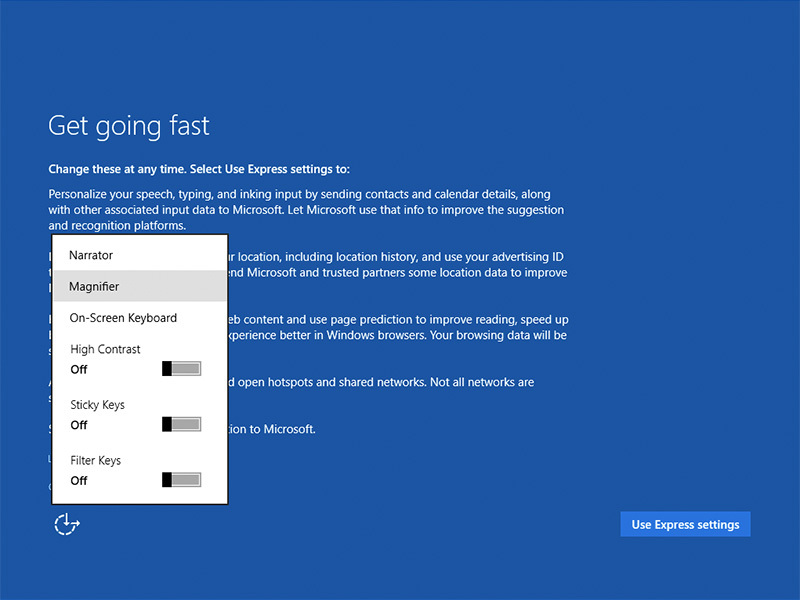 For this article, we used the latest preview build ISO, and installed the OS on a empty drive; if you’re doing an upgrade, you may or may not see some of these screens. 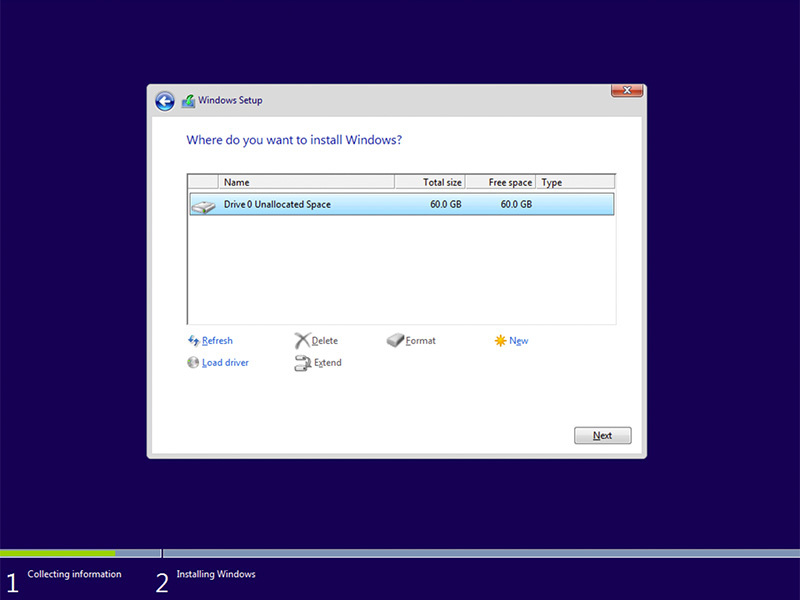 Step 1: This is the first screen you will see if you install Windows 10 using a bootable USB flash drive or DVD. 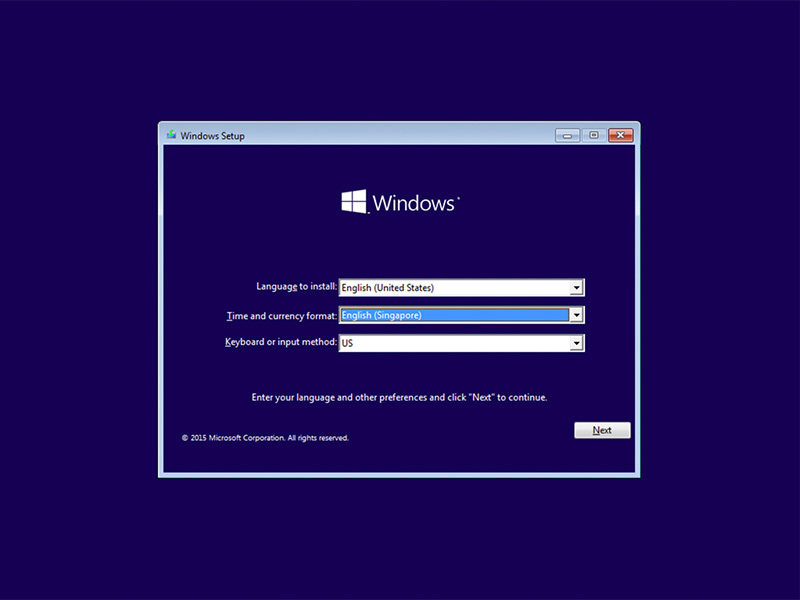 Here’s where you choose the OS’ language, time and currency format, and input method. Step 2: It's pretty obvious what you need to click here. 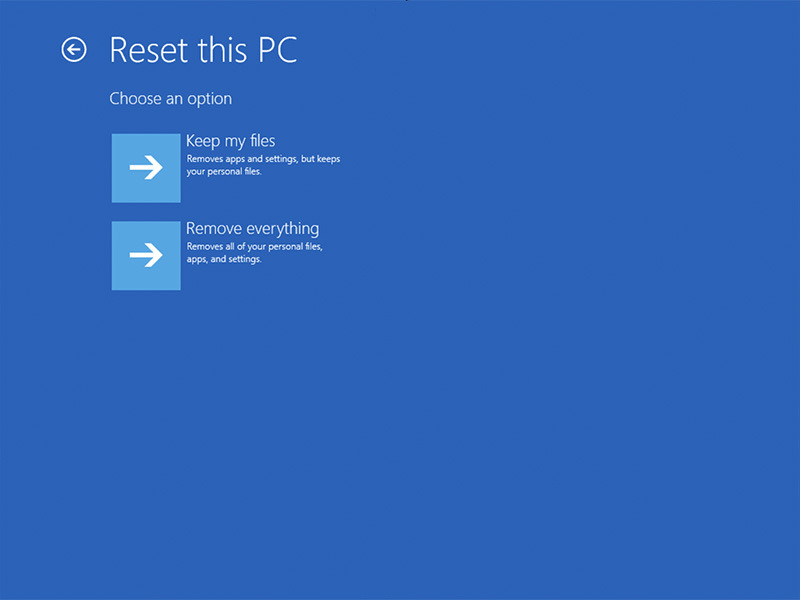 Like Windows 8.x, you can also choose to repair your computer. 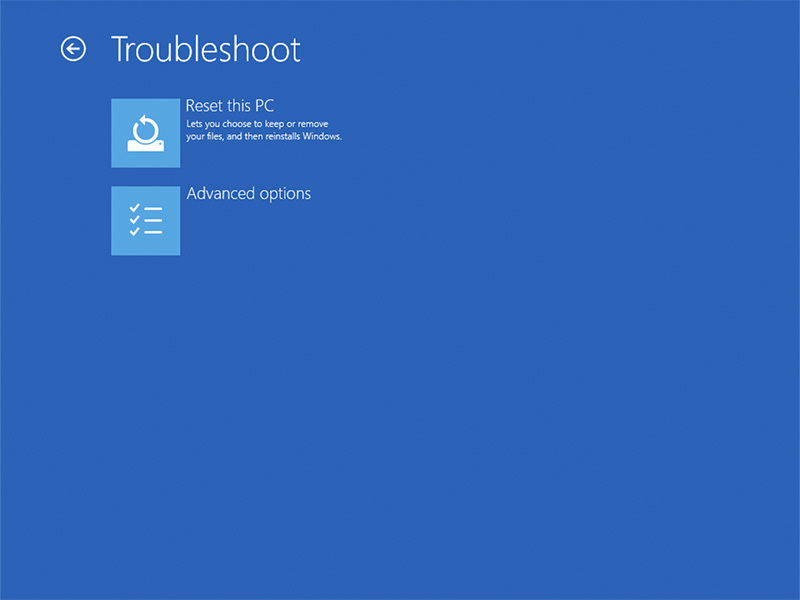 If you choose the repair option, you will end up at a Troubleshoot screen where you can choose to reset your PC and re-install windows (you can either keep or remove your files), or access more advanced troubleshooting options. 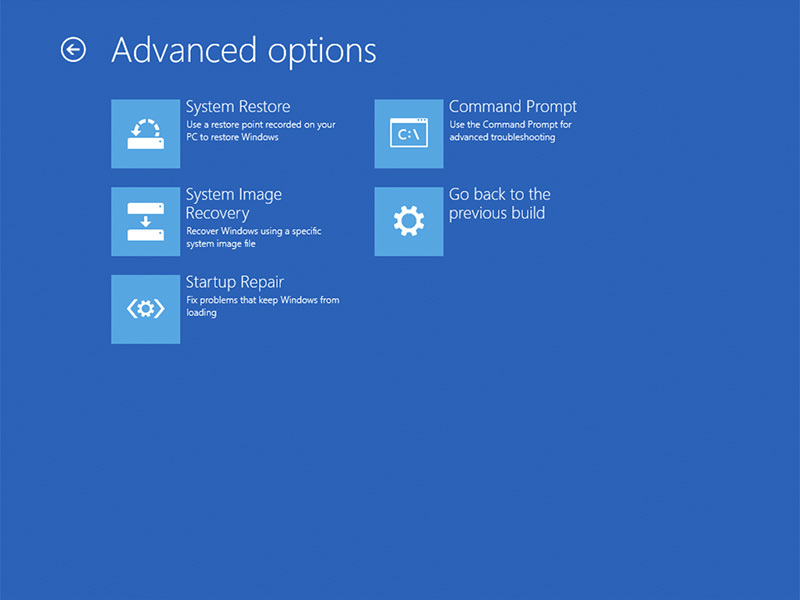 For the latter, there are options for doing a system restore (if you’ve a restore point on your PC), image recovery, running commands in command prompt, and letting Windows fix any startup problems. 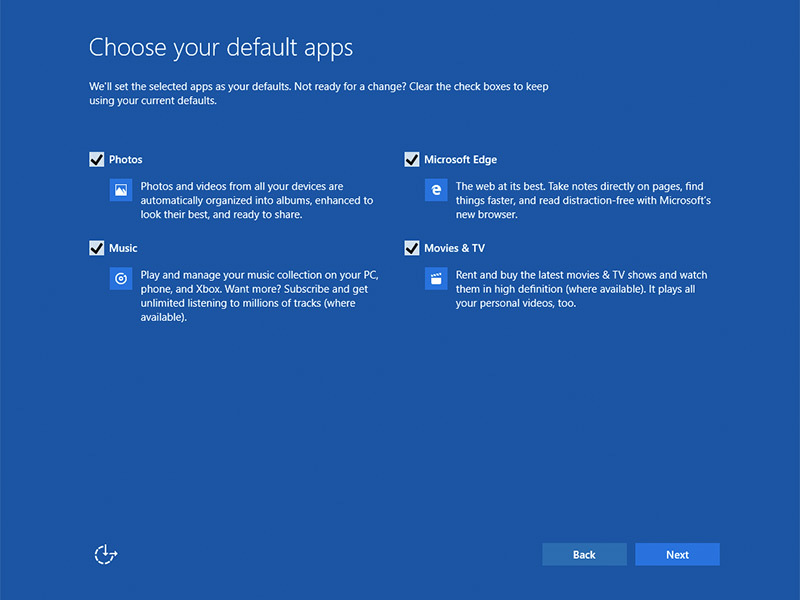 You can also get to the advanced startup options after installation via the new Settings app in Windows 10. 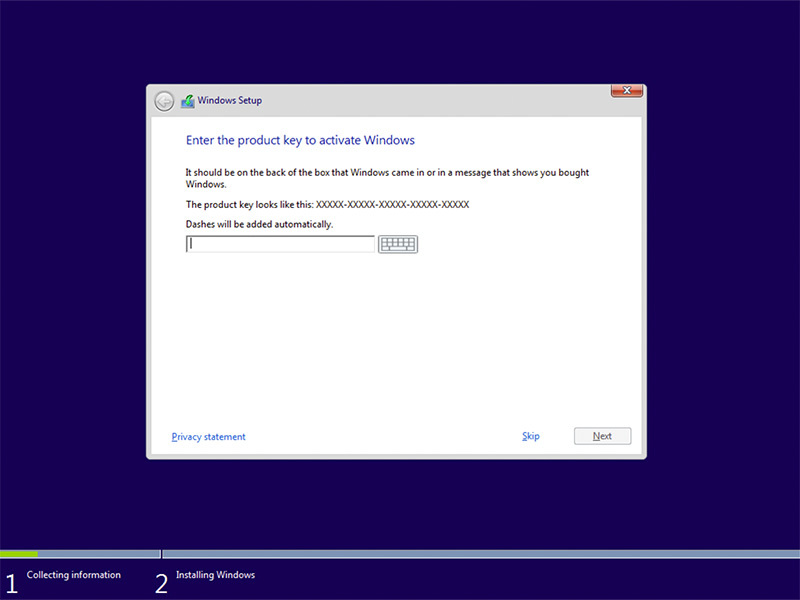 Step 3: Traditionally, your Windows product key can be found on your online order info, in the confirmation email for your purchase, or on the DVD packaging. 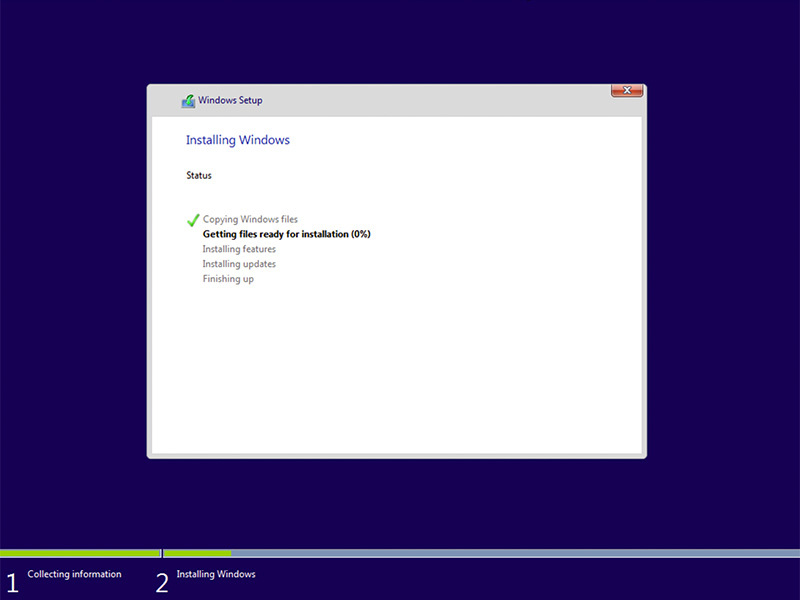 That said, this is more for a clean install. 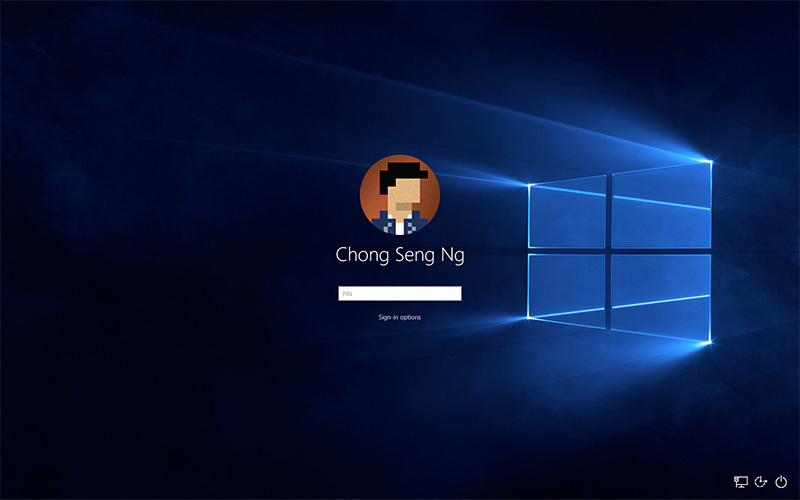 If your device has been successfully upgraded to Windows 10, and you choose to wipe your device and do a clean install later, the device will reactivate without the need of a Windows 8.x product key. Step 4: Accept the license terms. After you read them, of course. Step 5: Next, you’ll be presented with this screen, where you can choose to do either an upgrade (files, settings, and apps are moved to Windows) or a custom install (files, settings, and apps aren’t moved). The latter is the one to choose if you prefer a clean install, which was what we did. 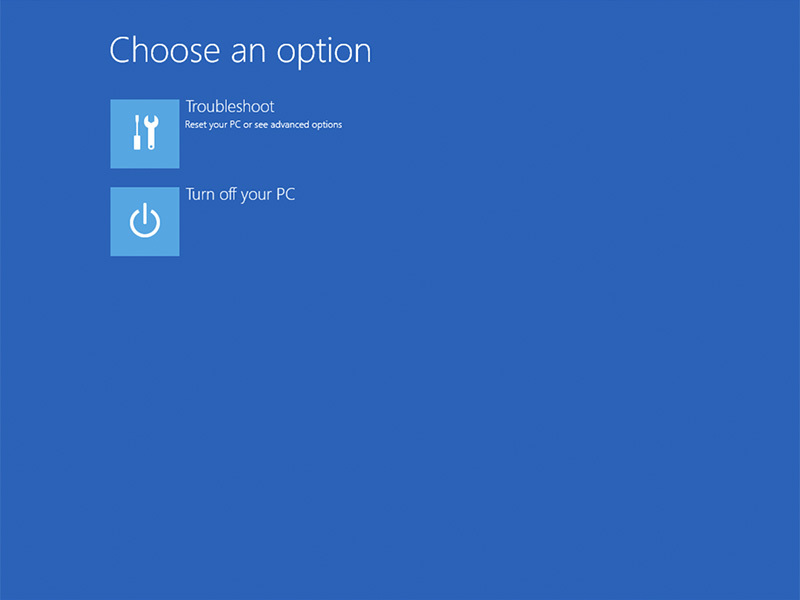 Step 6: Here’s where you select the drive to install Windows 10 on. You can format a drive here as well. Step 7: Now, you wait. 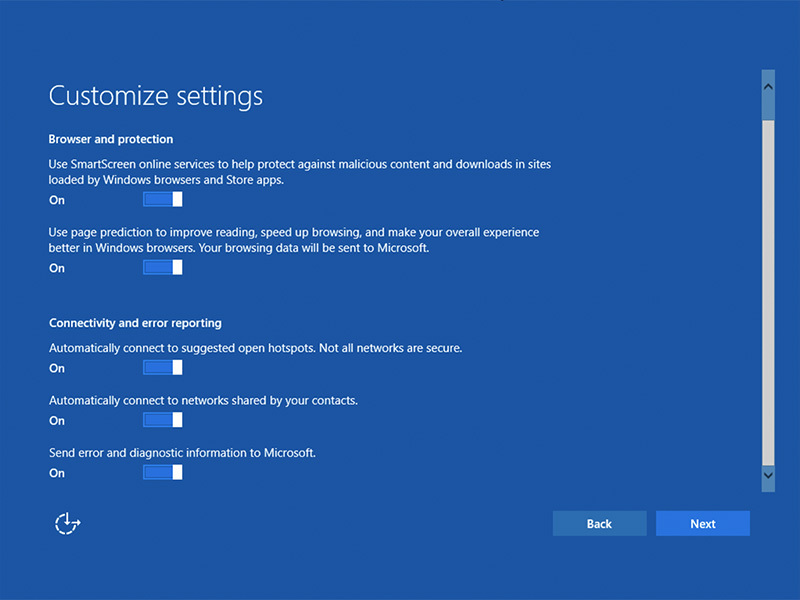 Step 8: Before you can start using Windows, there are some personalization, location, browser and protection, and connectivity and error reporting settings that you can adjust. 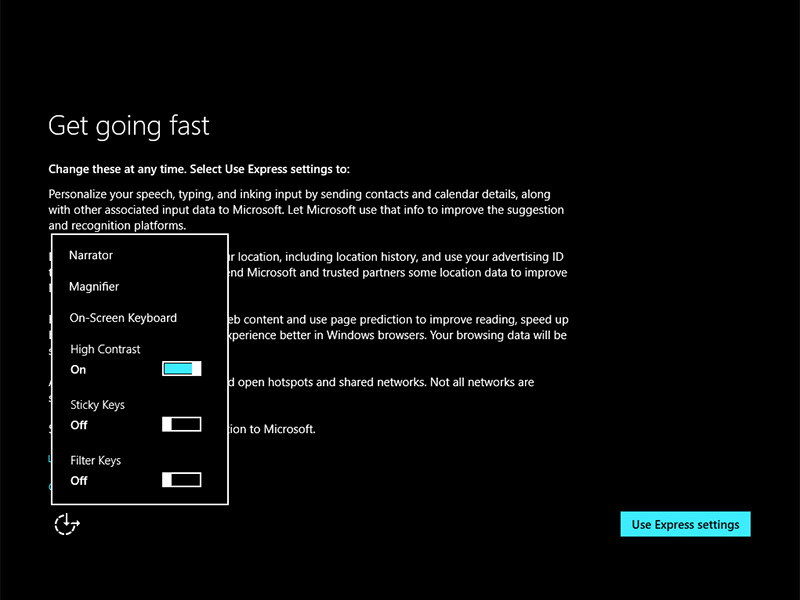 You can zip through all these by using the Express settings, which basically turn everything on, or you can hit the small print that says ‘Customize settings’ to customize them. We went for the latter. Oh, notice that little icon at the bottom left? 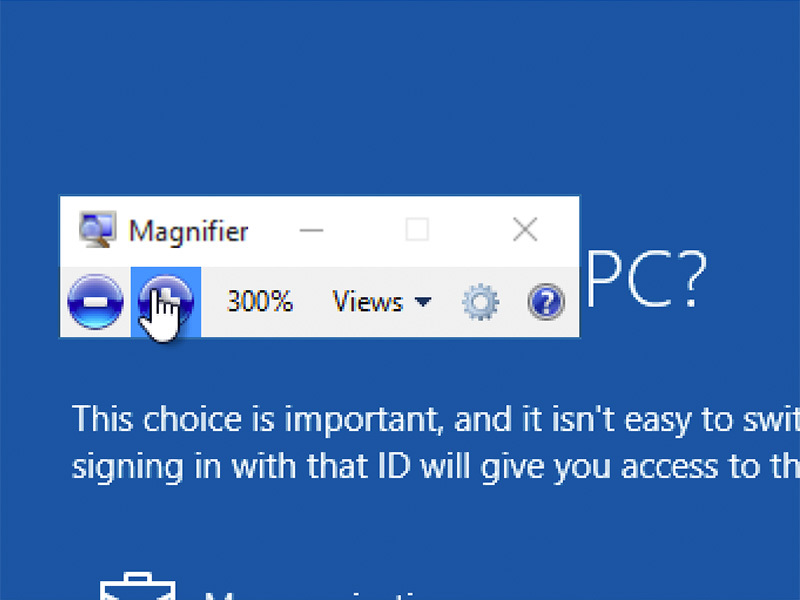 Click on it to access an accessibility menu where you can turn on things like a narrator, magnifier, or increase the screen contrast. Step 9: If you choose to customize the settings, the first page deals with your contact, calendar, input, and location data. Read these carefully to decide if you want to turn the settings on or off. 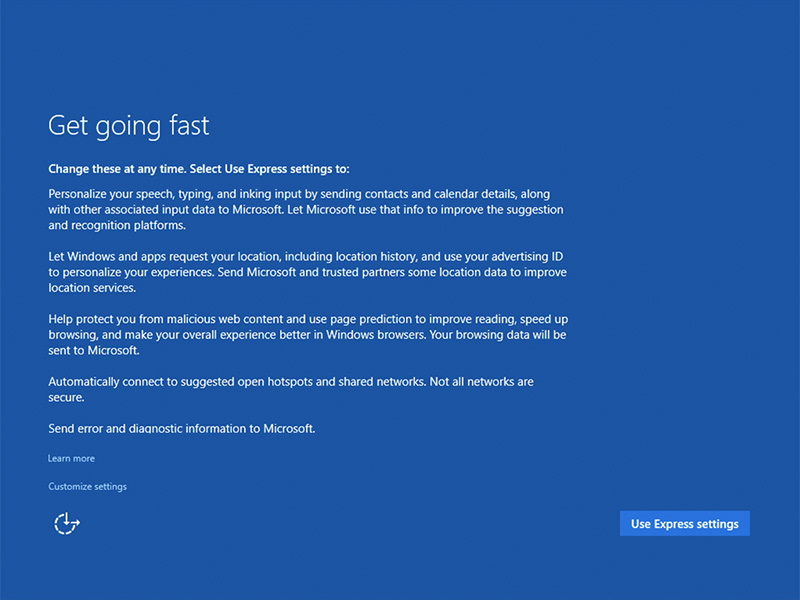 Step 10: The next page deals with browser data, connectivity, and error reporting. Again, read these carefully and toggle the switches accordingly. Step 11: Next, you need to specify who's the owner of the device. You can choose to sign in with your company ID, which will give you access to your company's resources. 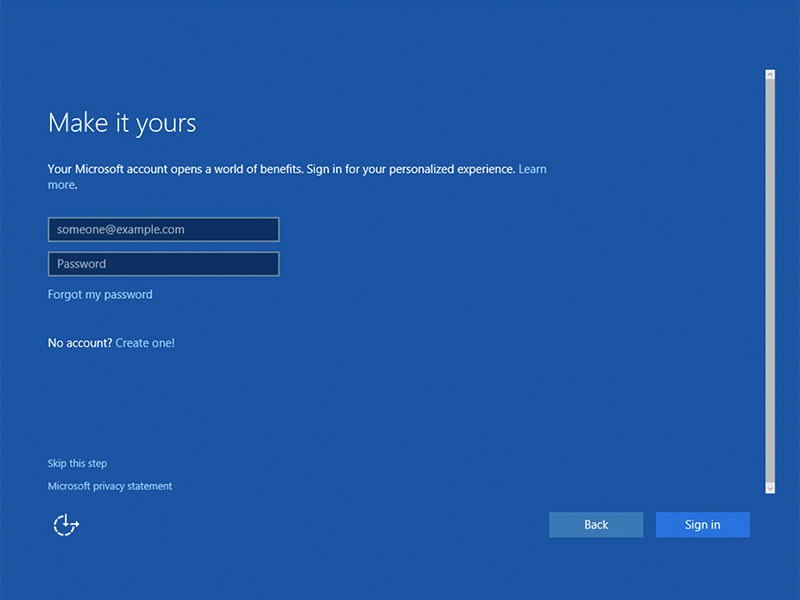 Step 12: Microsoft really wants you to sign in to Windows 10 with your Microsoft account. 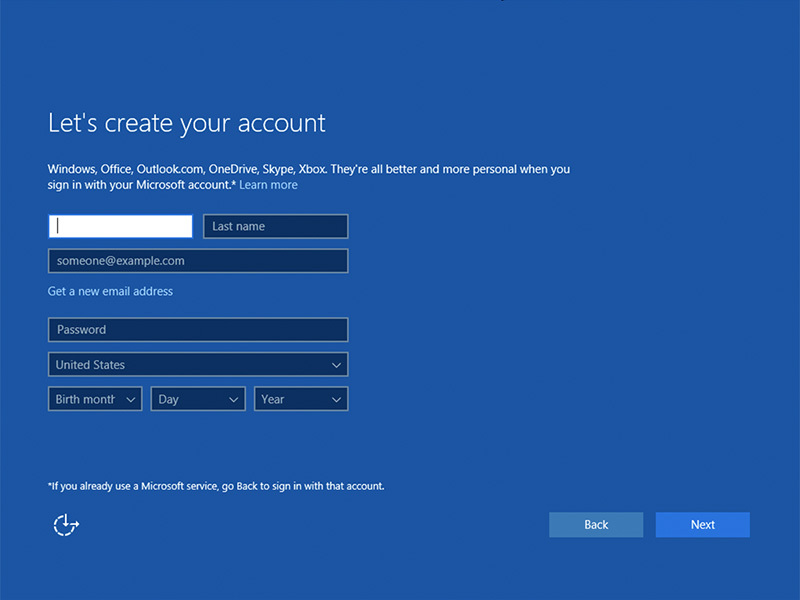 If you use Microsoft services like Office, Outlook.com, OneDrive, Skype, or Xbox, it makes sense to sign in with your Microsoft account as it ties them all up and makes your Windows experience more personal. 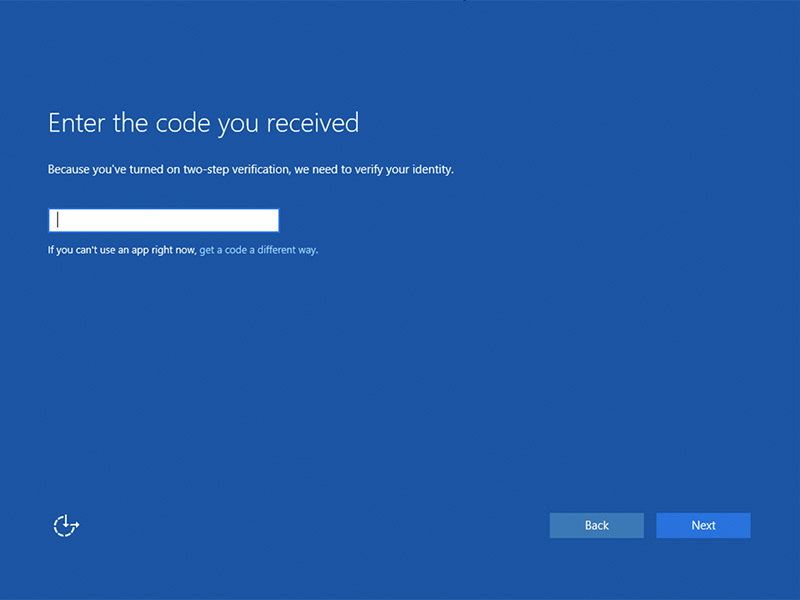 If you use two-factor authentication, you’ll need to enter your code. 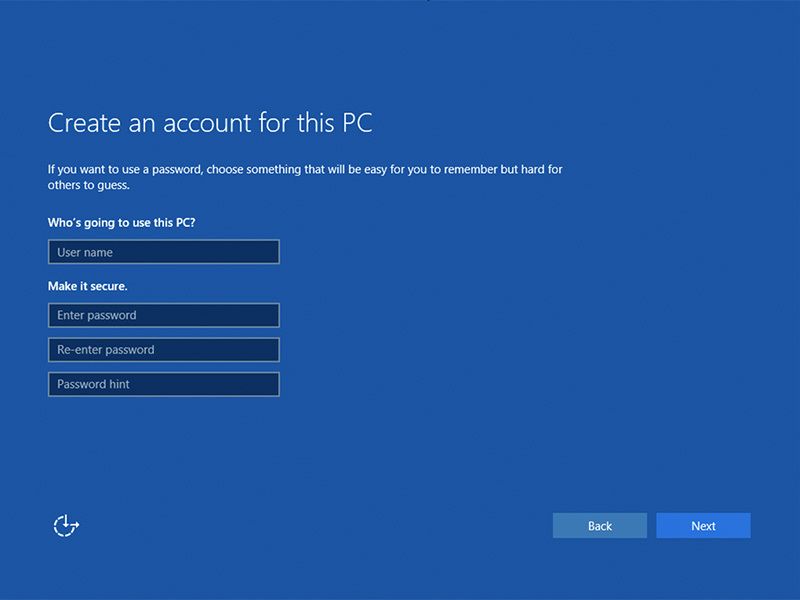 If you don’t have a Microsoft account, you can create one right away. Alternatively, you can sign in with a local account. 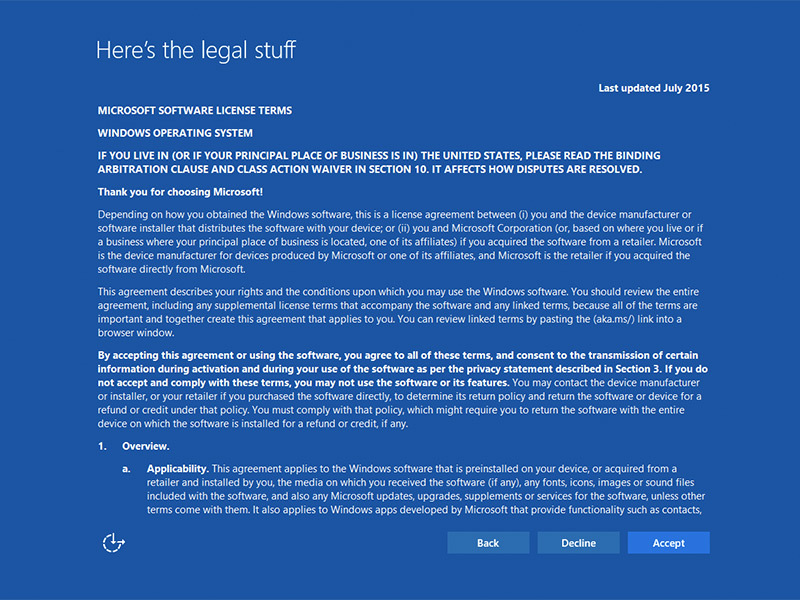 Unlike Windows 8.x, apps like Mail will not force you to switch to a Microsoft account and stop you from using the app if you don’t comply. 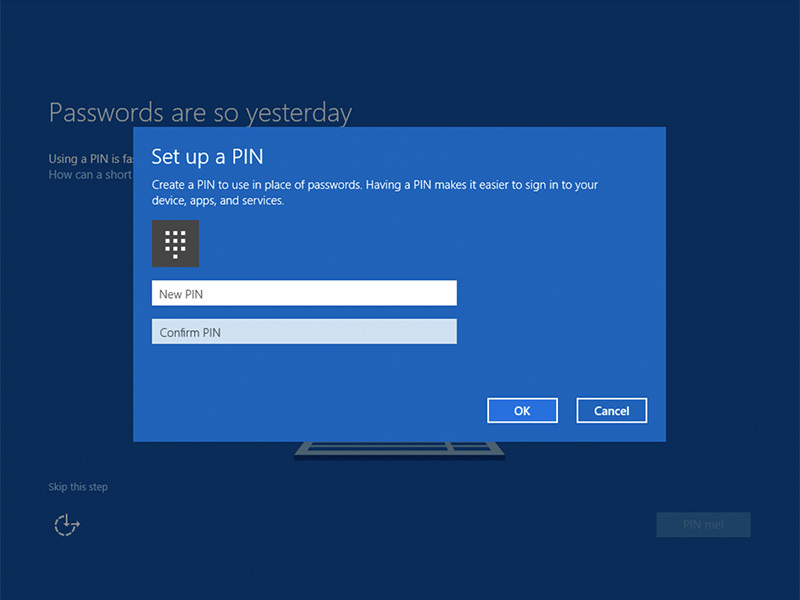 Step 13: Instead of signing in using your Microsoft account password, you’ve the option to create and use a short PIN instead. In addition to easy typing, another benefit is that once created, this PIN only works on the device it’s created on. 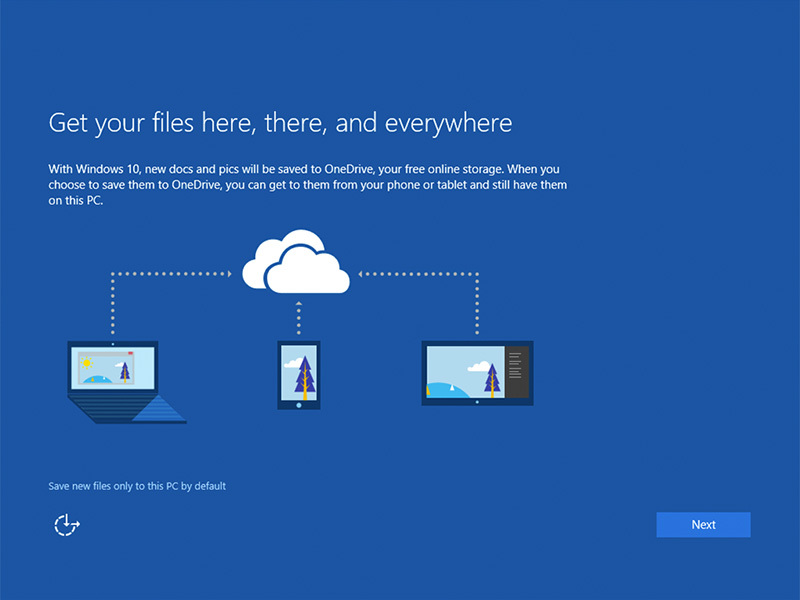 Step 14: Windows 10 will save new documents and pictures to OneDrive. If you’re okay with that, just hit Next to continue. Else, you can click the small text that says ‘Save new files only to this PC by default’. 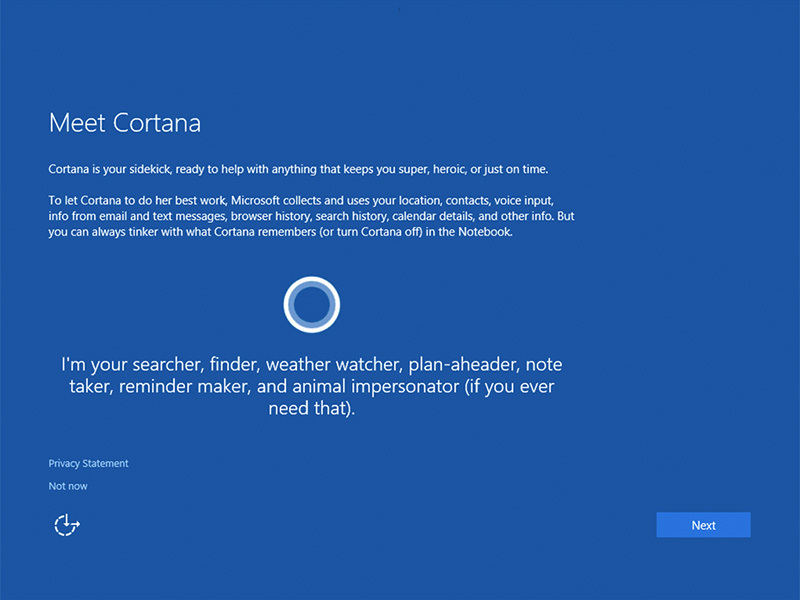 Step 15: You can also decide if you want to turn on the Cortana personal assistant feature. 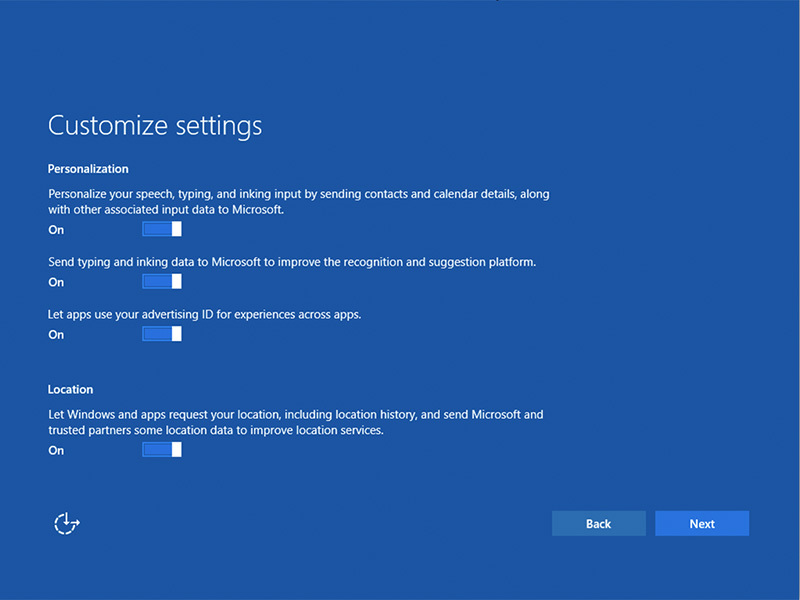 Some people may not want to use Cortana as this allows Microsoft to collect and use their location; contacts; voice input; info from email and messages; browser history; search history; calendar details; and more. 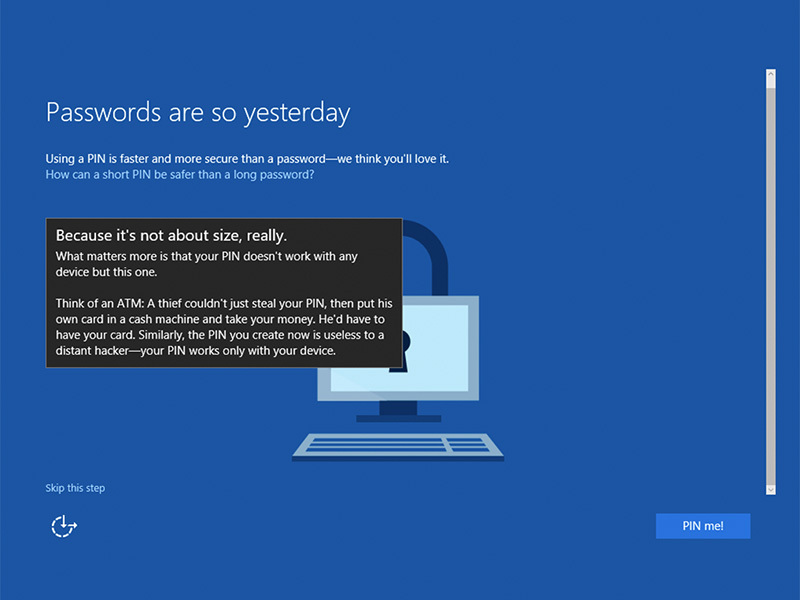 If you were to ask us, Cortana is one of the best features in Windows 10. And for it to be truly useful, it has to be granted access to such data. 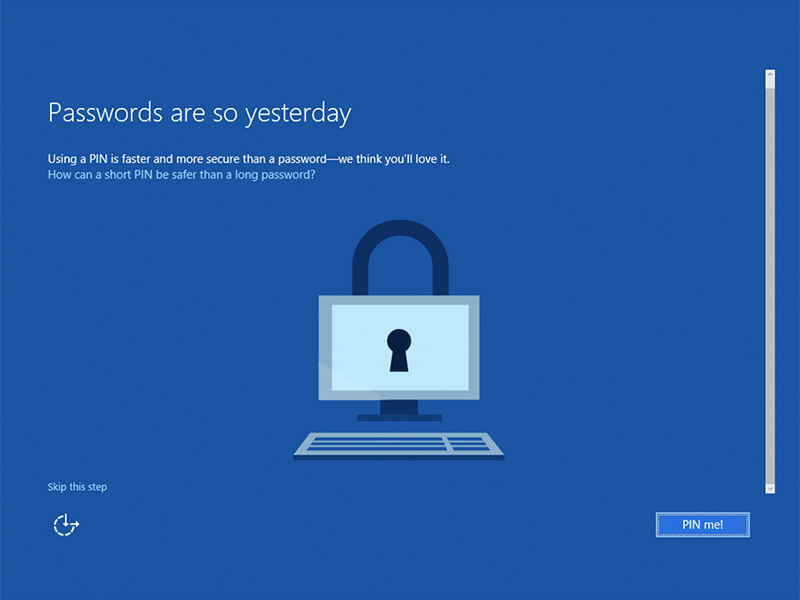 Here’s a link to Microsoft’s privacy statement. At some point, you'll also be asked if you want to set the built-in apps to be the default apps for certain tasks. Simply untick the checkboxes for those that you don't want the installer to change. Step 16: There's no step 16. 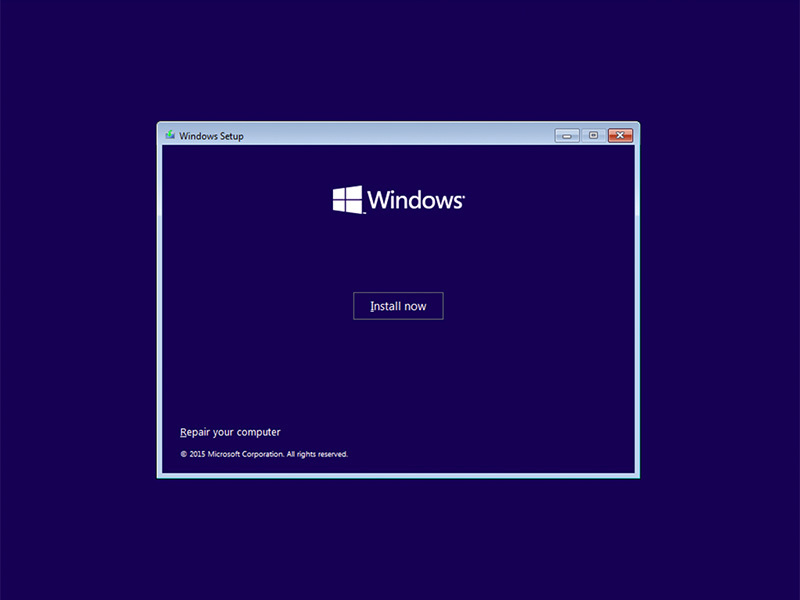 Welcome to Windows 10!